”In the end, it really does not matter how crowded and "zoo-like" the fishing was Saturday. Although it is nice to go home with a few fish in the stringer, the opening day experience is about more than just hooking up with a feisty trout. It is a kind of annual rite of spring. "People who will not touch a rod again for the rest of the season find the draw of opening day irresistible. 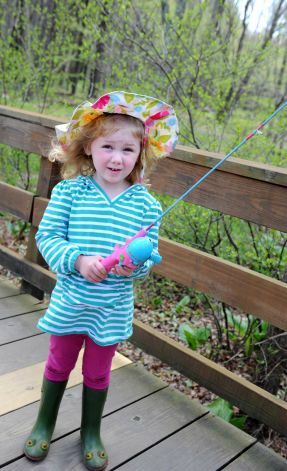 "Children will know for the first time the excitement of waiting for a fish to grab their worm or Rooster Tail lure. Should a fish actually hit, chances that child will fish for the rest of his or her life." ”Pumpkinseeds and brook trout are the most colorful of New England’s native fish. Even now, I remember my trout’s white-lined fins and the light spots all over its sides that had a few bright little red spots, like they had been touched by the tip of a teacher’s red pen.